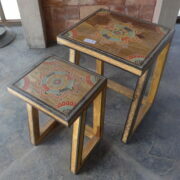 Versatile and space saving, a nest of tables is handy for when you have guests, or an unexpected need for tea and cake by your sofa. 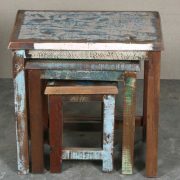 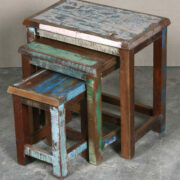 Choose from a variety of styles including hand painted, old, vintage, industrial, reclaimed, sheesham…. 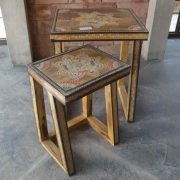 All of our Indian furniture is handmade and is available to buy online or instore.